and hole concentrations when the conductivity is minimum. intrinsic carrier concentration, ni = 1.5x1010 cm-3. Ans : hole concentration = 2.59 x 1010 cm-3. electron concentration = 0.866 x 1010 cm-3. 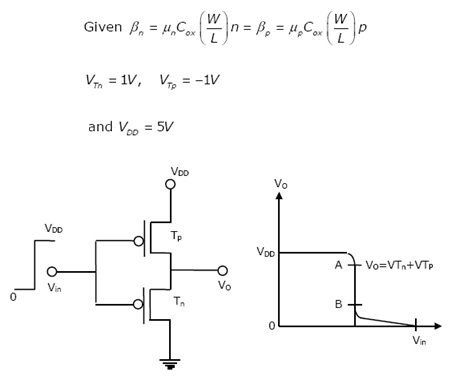 voltage of VBE = 0.6 volts. Assume ICO to be negligible. 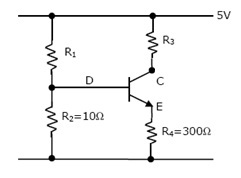 collector of 1 mA and a collector to emitter voltage of 2.5 volts. at which VO falls abruptly by ∆Vo = VTn + VTp.